See California DUI Lawyers Association Specialist Rick Mueller in action as the San Diego DUI attorney known as the “DMV Guru”. One of the Best DUI attorneys in California, Winner of the California DUI Lawyers Association’s President’s Award as their Specialist, and considered One of the Most Feared DUI lawyers in San Diego, attorney Rick Mueller of the San Diego County DUI Law Center exclusively handles DUI and DMV cases. Independently rated by his peers and clients as “Superb”, Rick is one of the top San Diego DUI Lawyers. Rick Mueller has over 100 5 Star Reviews, is a Level 14 Contributor of Avvo Answers and writes about what to do when faced with a DUI, which is one more reason why he is the best DUI lawyer in San Diego. Rick has been practicing drunk driving defense law since 1983. He received his Juris Doctor degree from Chicago Kent College of Law and is also a licensed attorney in Illinois. Rick is the only San Diego DUI criminal defense attorney who was the featured Speaker at seven DUI / DMV seminars in San Diego County in recent years. Rick was selected by Attorney of the Year Felipe “Mad Dog” Plascencia to lecture at the Mexican American Bar Association’s Annual DUI Seminar “Attacking & Defending DUI Cases” held at Loyola Law School in Los Angeles. At the request of California DUI Lawyers Association President Vincent Tucci, Rick lectured at the California Attorneys for Criminal Justice Rules of the Road DUI Seminar. 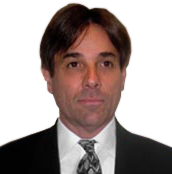 Rick is a Specialist member of the California DUI Lawyers Association, a member of the National College for DUI Defense and was a member of the National Association of Criminal Defense Lawyers. Rick regularly lectures at “Strategies in Handling DUI Cases” seminars. Rick lectured at the DUI & Drug Defense seminar at the San Diego Bar Building, at the North San Diego County Bar Association’s Drunk Driving/DMV seminars, and at the Public Defender’s Office DUI/DMV Training seminars. 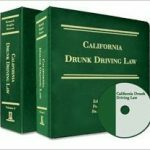 His DUI/DMV work is also featured in the California DUI Lawyers Association’s Advanced DUI Skills seminar materials and Association of California Deuce Defenders’ (presently the California DUI Lawyers Association’s) materials. Rick spoke on “Current DMV Suspension Hearing Issues, Techniques & Writs” at the San Diego County Courthouse. Rick was the featured Speaker at the DUI – DMV Seminar in downtown San Diego. He also was the Lecturer at the Public Defender’s Office criminal defense & DUI seminar. Rick’s extensive expertise is often utilized by other attorneys on various DUI/DMV matters. Rick actively, exclusively and personally defends San Diego DUI & DMV cases. California DUI Attorney George Fredrick (“Rick”) Mueller is in Good Standing with the California State Bar (No. 114305).